Similar to last years’ final, it will be the top two ranked teams after the regular season that will contest the IPL 2018 final in Mumbai on Sunday night. The Sunrisers Hyderabad and the Chennai Super Kings finished the season 1st and 2nd respectively, and have been the most consistent teams during IPL 2018. Both teams have contrasting game plans. 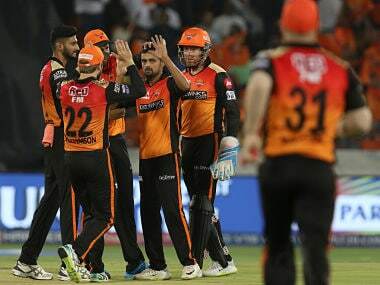 While Chennai’s strength is their batting, the Sunrisers have made a habit of running through the opposition with their quality bowling line-up. The battle between the Chennai batsmen and the Sunrises promises to be intriguing and we look at some of the key encounters ahead of the finals. In big matches it is all about starting well up front and the contest between Bhuvneshwar Kumar and the Chennai top order will be intriguing. The ball will swing under lights at Wankhede and if Bhuvneshwar can rattle the top order of the Chennai Super Kings, it will allow the Sunrisers spinners the luxury of bowling to the Chennai middle order. In their previous encounter only a few days ago, Bhuvneshwar made the ball talk and it prevented the Chennai top order from achieving a rapid start. On the contrary, if the likes of Shane Watson, Faf du Plessis and Suresh Raina can negotiate the threat of Bhuvneshwar with the new ball, then it allows the them to attack the Sunrisers' spinners during the middle overs and put the pressure back on the Orange Army. 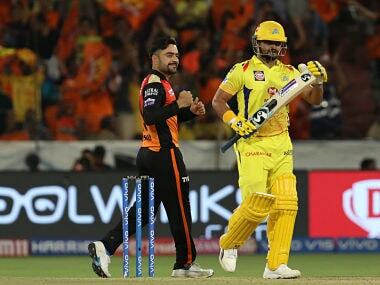 It is the clash that is certain to lighten up the IPL final. 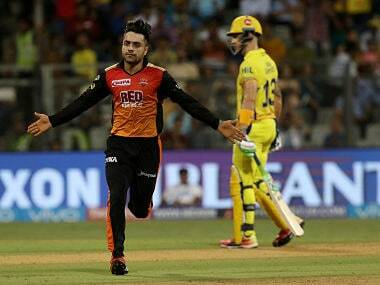 After Rashid Khan bamboozled MS Dhoni with a cleverly disguised googly on Tuesday night, all eyes will be on how the Chennai skipper handles the leg spinner. Dhoni has rediscovered his majestic touch in IPL 2018 and if he can withstand the Rashid challenge, then he is more than capable of exploding at the end. Dhoni is a master at targeting a particular bowler and it will be interesting to see if he takes on Rashid, especially if Chennai are in a situation that demands Dhoni to score quick runs. There is nothing Dwayne Bravo enjoys more that his personal battles against his fellow West Indian team-mates. Bravo has been a lynchpin to Chennai’s success this season, both with the bat and the ball. 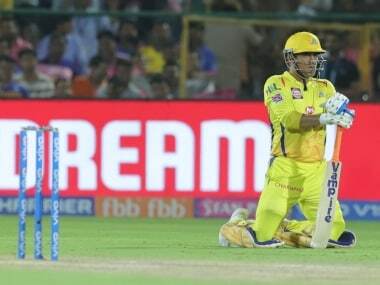 His death bowling and power hitting at the end are so crucial to Chennai’s accomplishments and on Sunday, he will be the go-to-man for MS Dhoni. On the other side of the coin, Braithwaite has been sensational in the past couple of games. He will take plenty of confidence from bowling the last over against the Kolkata Knight Riders and the bounce on offer at the Wankhede pitch will ensure he is a genuine wicket-taker at all times. Like Bravo, he is capable of changing the course of the match in the space of two or three deliveries, either with the bat or ball. The Sunrisers’ strength is their ability to choke the opposition through the middle overs with their spinners. Rashid Khan, Shakib Al Hasan and even Yusuf Pathan are masters of bowling the right lengths and not allowing the batsmen to loft them into the stands. The pressure created by the spinners bowling in tandem has often led to the opposition panicking and gifting their wickets because of poor shots. One man capable of unsettling the spinners is Ambati Rayudu. The right-handed batsman has been in glorious form and will take plenty of confidence from the hundred he scored against the Sunrisers only a couple of weeks ago in Pune. Rayudu's ability to use his feet and also play the sweep to great effect will make the Sunrisers spinners constantly change their lengths. The middle overs battle is often overshadowed by the start and the end, but the way Rayudu handles the spinners could well be the turning point in the match. Kane Williamson has been the backbone to the Sunrisers batting all season and the Super Kings will be aware that if they can dislodge the Sunrisers skipper early, then it would go a long way to deciding the fate of the game. Williamson has only perished to spin twice this season, meaning his battle against the Chennai Super Kings new-ball bowlers will be the key to him posting a big score. Deepak Chahar and Lungi Ngidi will take plenty of confidence from the way they rocked the Sunrisers top order only a few nights ago. The bounce on offer will ensure both men will have a great opportunity to break the opening partnership and then expose Williamson against the relatively new ball. Both Ngidi and Chahar love bowling with the brand new Kookaburra and will be itching to have a crack at the Sunrisers skipper.